Still Looking for iPad 2 jailbreak on iOS 4.3.4/4.3.5? Apple released final version of iOS 5 on October the 12th with 200+ new features for iPhone, iPad and iPod Touch. 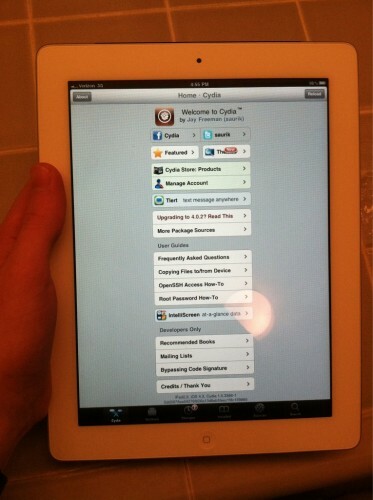 But there are iPad 2 users who haven't upgraded to iOS 5 and are still looking for iPad 2 jailbreak on iOS 4.3.4/4.3.5. Well, iPad 2 jailbreak on iOS 4.3.4 or 4.3.5 will never be released as it is not being worked on by hackers around. Currently, iPad 2 is only jailbreakable on iOS 4.3.3 through jailbreakMe which is the userland jailbreak developed by Nicholas Allegra also known as Comex. As soon as 4.3.3 jailbreak was released, Apple pushed out iOS 4.3.4 and 4.3.5 to patch the jailbreak. However, these versions are jailbreakable on other iOS devices. iPad 2 users who were wise enough to save SHSH blobs are able to downgrade to iOS 4.3.3 while others are out of luck. The only option left is to wait for iOS 5 jailbreak for iPad 2 and then upgrade to iOS 5 but seems like it will take much time for hackers to develop this kind of jailbreak. So the moral of the story is: if you are stuck on iOS 4.3.4 or 4.3.5, there is no way around to jailbreak. You will have to keep the official firmware till iOS 5 iPad 2 jailbreak arrives. 0 Respones to "Still Looking for iPad 2 jailbreak on iOS 4.3.4/4.3.5?"